To call Mono Mukundu a lead guitarist is a pun that drifts on the surface. His guitar chops are among Zimbabwe’s flagship exports to world music. The man who plays the guitar with a Zimbabwean accent, kneading the fingerboard to manic edges of artistry, is to the industry what the cynical bug is to the editorial cartoon. Always at the scene, never mind the occasion. Mono had played on 200 albums as at 2006, lending his indelible signature to sungura, reggae, rhumba, urban grooves, dancehall and jazz, while holding his own as the go-to guitarist in the Pentecostal circuit. His crowning achievement would be the guitar-driven katekwe riffs on Tuku classics like “Nhava” and “Tsivo”, shortly before the Superstar went all-traditional. Gwenyagitare, as the player-laureate came to be known for his tireless intimacy with the fingerboard, stepped out of the Black Spirits into his lone wolf phase as a producer. Bringing his varied apprenticeship under one roof at the Hatfield-based Monolio Studios, he has dropped beats like confetti over the past decade, even appending sungura riddims to his catalogue. But the former Black Spirits guitarist has been also busy with something else. On Thursday, he launched “Following the Melody”, one of the most important books on Zimbabwean music. The memoir traces the multi-talented instrumentalist’s career and shares priceless insights on the Zimbabwe hit parade, coming from a core player who has held his own for close to three decades. The self-assertive musician comes across as a captivating storyteller, detaining the reader from start to finish with a story of love, talent, conviction, passion, spirituality and victory. I opened the book on the eve of the launch and would not skip a word till I came to his parting words for fellow artists “to always research and be prepared to persevere”. “Following the Melody” is published by Monolio Studios and edited by Phillip Chidavaenzi and Simba Mudokwani. Joyce Jenje-Makwenda, herself a genre-straddling chronicler of Zimbabwean music, prefaces the memoir. Things are looking up for the story of Zimbabwean music. I have followed the melody in these columns, reviewing Shepherd Mutamba, Mhoze Chikowero, Banning Eyre, Ticha Muzavazi, Fred Zindi and Joyce Jenje-Makwenda’s books on the industry. Not to be outdone, Mono has done it his own way, dispensing with scholarly dissembling and making every passage a kaleidoscope of fascinating anecdotes and meaningful lessons. Already a league apart as an instrumentalist but ever hungry like Oliver Twist, Mono is asking for new accolades as a writer. This new book, equal parts autobiography and open source musical intelligence, stands up as key reading for anyone interested in Zimbabwean music. Very minor mistakes can be creased out in subsequent editions. One of the key things about the book is honesty. Mukundu writes as if he is leaking himself, a kind of self-abasement comparable to a pastor digging up his lowlife pre-conversion diaries to show the depth of God’s intervention. In the end, we are confronted with a breathless memoir, punctuated by meditative moments that seek to map the industry for aspiring artistes towards the close of each chapter. It was “Pamuchato waTobias” singer Admire Kasenga who baptised Clive Mukundu with the stage name “Mono”. At the outset of their careers, the two performed together in Chaks Brothers. Despite maintaining a nightlife itinerary, the band did not record, resulting in occasional flops. Mukundu, freshly out of school, kept a single dreadlock, with respect to which the name Mono occurred to Kasenga and another band member. The monicker stuck so that even when he was led to Jesus by Pastor Admire Kasi in 1994, he simply changed to Baba Mono. The joint tenure with Kasenga was not all “bromantic”. They vied for the leadership of the band, with Kasenga wanting to prefix his name to a band Mono had been voted to lead. The former argued that he was the natural frontman since he was the lead vocalist, while Mono could not see how his lyrical contribution and musical arrangement was any less important. Credit wars would persist in subsequent bands. Never one to be subsumed into an equal contributor’s shadow, Mono would leave Chikokoko, so named after another band member. The dilemna of misdirected attribution has occasioned rifts in many successful Zimbabwean bands. Biggie Tembo emerged as the natural frontman for the Bhundu Boys though he only joined a band Rise Kagona had already assembled. 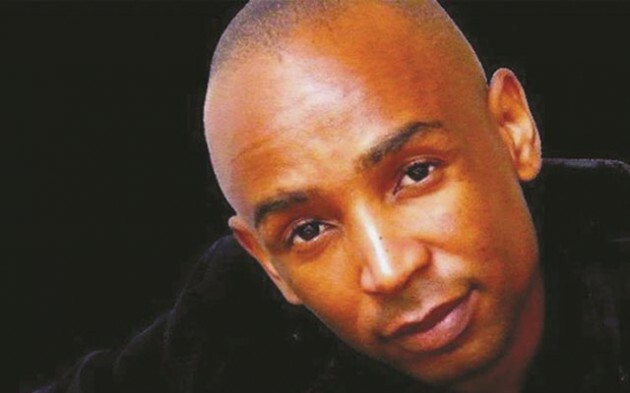 People remember Mitchell Jambo as the leader of Zim Cha Cha Cha Kings during the “Vimbiso”- “Ndichamutora Chete” years but he was only the lead vocalist – the doorkeeper who had happened into a lucky slot in David Ziome’s band and proved a force. Four Brothers lead vocalist and drummer Marshall Munhumumwe had to play cold calculus with Patrick Mukwamba as the latter’s songs, “Vakakunda Zviyedzo”, “Bonus” and “Usanyara Basa Rako” shot to the top, priming him for the title role in the band. Back to Gwenyagitare’s formative strivings, he is never far from misadventure. When a row over the splitting of gate takings erupts between his relatively obscure band and Pied Pipers, knives shine from both sides and Mono breezes home, running into barbed wire and thud-falling into the night. The police readily side with Piped Pipers, the now-disbanded Mbare-based outfit famed for “Ruva Rangu”, and Mono is once again bitterly alert to the cost of playing the underdog. Poverty sustains an almost tangible undercurrent in much of the memoir, right up to the Black Spirits stint, but Mono never backs down. “It seems musicians are at their creative peak during times of hardship, before their breakthrough,” he makes sense of his own experience. “Maybe that’s why about 99 percent of the world’s greatest artistes come from very poor backgrounds. It’s my advice to most musicians every time to compose as many songs as possible before they hit the big time, because it seems to me that once things fall into place, a huge chunk of inspiration is blown away,” says the guitarist. Desperation is the greatest inspiration, if Mono is right. A child of divorce and victim of childhood misfortunes including the imprisonment of his father for embezzling company funds, it looks foolhardy for Mono to pursue a career in music, especially given the trade’s uncertain returns. But artistic conviction sees him through a series of low points and an unseen hand occasionally saves him for music, particularly when he hangs his guitar to fend for his pregnant wife, only to be signed by Admire Kasi for Egea Gospel Train which stars Ivy Kombo and Carol Chivengwa at the time. He threatens to leave on several occasions, with unholy lifestyles in the band weighing down on his newfound Christian faith. Kasi’s violent temper which sometimes translates into physical attacks on subordinates, and erratic remuneration does not make the going any easier. Although Mono appears reasonably Christian in much of the book, even abstaining from both playing and listening to secular music at some point in his career, he has many axes to grind against most of the pastors he works for as a band member. In some cases, poorly remunerated musicians are instructed to stretch their stipends across their needs through faith while the pastors fare sumptuously like Arab oil barons. When the pastors testify to the effect that God is rewarding their faith with riches, Mono sees that what they call faith as naked exploitation. Before finding God, Mono experiences the horror of leading a carefree life as a musician. In the early 1990s, he picks sexually transmitted infections on two occasions after falling to peer pressure and proving his bravado on prostitutes. He would witness former band members succumbing to Aids, a sustained scourge on sungura artistes, beginning with Bhundu Boys guitarist David Mankaba’s high-profile battle with the condition in the early 1990s, and commit himself to celibacy. A self-abasing honesty which leaves the Shepherd Mutamba school of biographers out of a job is one of the strong points of this book. Jenje-Makwenda calls it “kuzviyanika” and applauds it as an important feature for a community’s introspection and progress. During the same period, poverty stalks the guitarist closer than his shadow, necessitating a cover-up when his worried mother follows his struggling band to Mutare from Harare. He was on her heels shortly after as the band, hungry and unwashed, asked for a free ride with a Harare-bound football team, enduring ungenerous taunts throughout the trip. Poverty persists through the decade but his art only gets better. He gives up comfort for the artiste’s self-sacrifice. His beautiful wife Jean predictably features on the dedication page and much of the book for loving him when no woman ever wanted to be near a broke musician. One such elusive crushworthy writes him an essay-like letter explaining why it is foolish to date a hungry artiste. When a musician who has played for Oliver Mtukudzi, Pax Afro, Chiwoniso Maraire, Tocky Vibes, Willom Tight, Somandla Ndebele, Mafriq, Africa Revenge, Celebration Choir, Ruvhuvhuto Sisters, Brian Sibalo, Shingisai Suluma, Alexio Kawara, Mahendere Brothers and hundreds others writes a book, can musical intelligence be outside the covers?